Traveling, shopping and dining in an exciting city. The most popular tourist sites are found in the historic city core, comprising Montserrat and San Telmo. 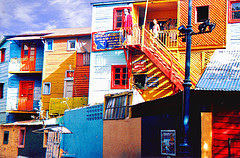 The city was originally constructed around the Plaza de Mayo, the administrative center of the Colony. To the east of the Square is the Casa Rosada, the official seat of the executive branch of the government of Argentina. To the north, the Catedral Metropolitana which has stood in the same location since colonial times, and the Banco de la Nación Argentina building, a parcel of land originally owned by Juan de Garay. Other important colonial institutions were Cabildo, to the west, which was renovated during the construction of Avenida de Mayo and Julio A. Roca. To the south is the Congreso de la Nación (National Congress), which currently houses the Academia Nacional de la Historia (National Academy of History). Lastly, to the northwest, is City Hall. Is Buenos Aires a hot destination?